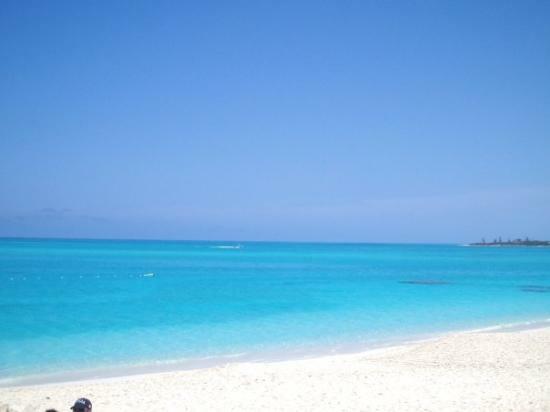 Just like the nearby islands, San Salvador, Bahamas is well-known for its pristine beaches and natural wonders. While this may be the main attraction, there are certainly other things to see and do on this island, making your Bahamas vacation even more memorable and fascinating than expected. There are a number of interesting lighthouses in the Bahamas, and the Dixon Hill Lighthouse is perhaps one of the oldest of these. Its charm does not just come with the fact that it is over a century old, but also because it still functions on kerosene. This is a lovely spot for some picture-taking, but if you want to bring home a priceless souvenir of your trip to San Salvador, Bahamas, gather your courage and climb up the steps to the viewing deck. The 360-degree view is simply amazing. For another dose of Bahamas history, you can also pay a visit to Watling’s Castle which takes its name from George Watling, a famous pirate. Walking around the well-preserved ruins will give you a glimpse into what life was like in the 18th century, when the castle was built. Check out the slave quarters and the kitchen as well as the Lookout Tower which gives a great view of French Bay. Another location of interest in the Bahamas, the New World Museum features fascinating artifacts which can help you learn more about the story of Christopher Columbus. A visit to this museum, where the Sebastian Malta Ceramic Panel “Verbo America” is also on display, will certainly bring a whole different dimension to your Bahamas vacation. You will need to make an appointment if you wish to pay a visit, though, so ask your hotel to make the necessary arrangements in advance for you. While you are sure to get your fill of the island life and lounging on the beach during your stay in the Bahamas, a trip to East Beach is certainly worth your while. With a six mile stretch to enjoy, turquoise waters, and the opportunity for some impressive shark sightings, this is a dream destination for water worshippers. With its uncanny combination of history and natural beauty, San Salvador, Bahamas is definitely an island you will want to visit.